In case you have slept through the last decade, culinarily, you might not have heard of the turducken. Just to put your mind at ease, I have never really had any desire to EAT a turducken. 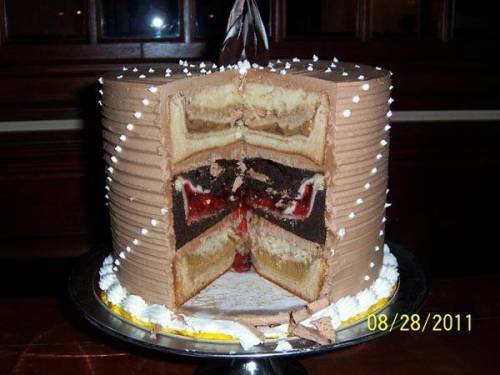 But now… there’s piecaken. 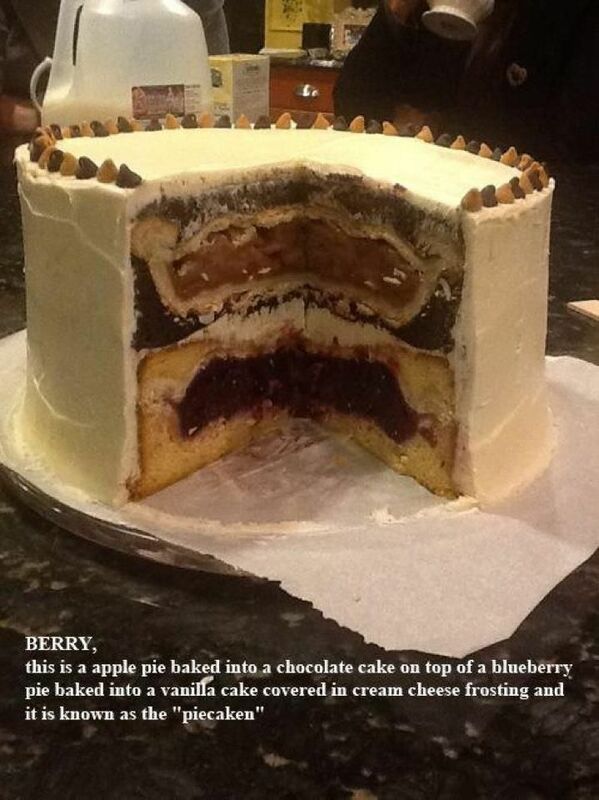 A portmanteau in its own right: PIE + CAKE = piecaken. At best, however, they are just shockingly beautiful. Despite the fact that I really kind of (shh) don’t like pie very much. But that’s not the point. I want this, nay, NEED this confection not necessarily for its fruity, flaky heart, but for the sheer kitsch value, not to mention the decadence of eating TWO desserts at the same time! Does anyone else believe this thing is utterly fabulous?? ?